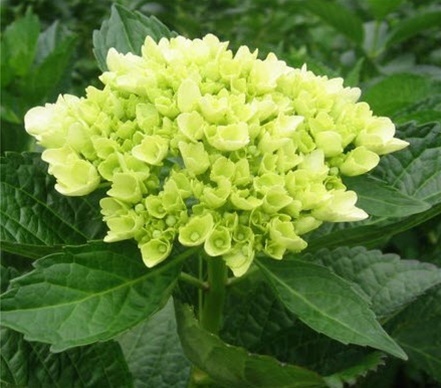 Mini Green Hydrangea wedding flowers have clusters of small 4 point flowers. These are immature white hydrangeas that make unique fillers for bouquets, centerpieces and floral arrangements. Their blooms are 3.5 to 5.5 inches in diameter. Free Shipping! These mini-green hydrangeas have become very popular with wedding arrangements and bouquets. With blooms 3.5 to 5.5 inches in diameter, they are a perfect size to complement table arrangements. Mini Green Hydrangeas have a single bloom, a globe composed of numerous clusters of small four-petaled pinwheel flowers. They are available year round from our partner farms in Colombia and Ecuador.